On Friday and Saturday, February 2 and 3, the second annual Shaping Justice Conference brought together students, attorneys, and advocates from around the country who are dedicated to transforming the law in order to advance justice for all people. This year’s conference, titled “Shaping Justice in an Age of Uncertainty,” gave attendees a chance to engage with some of the greatest and most pressing challenges facing our nation and legal system today, and hear from and connect with practitioners working on the front lines of the fight for civil rights and equal justice. 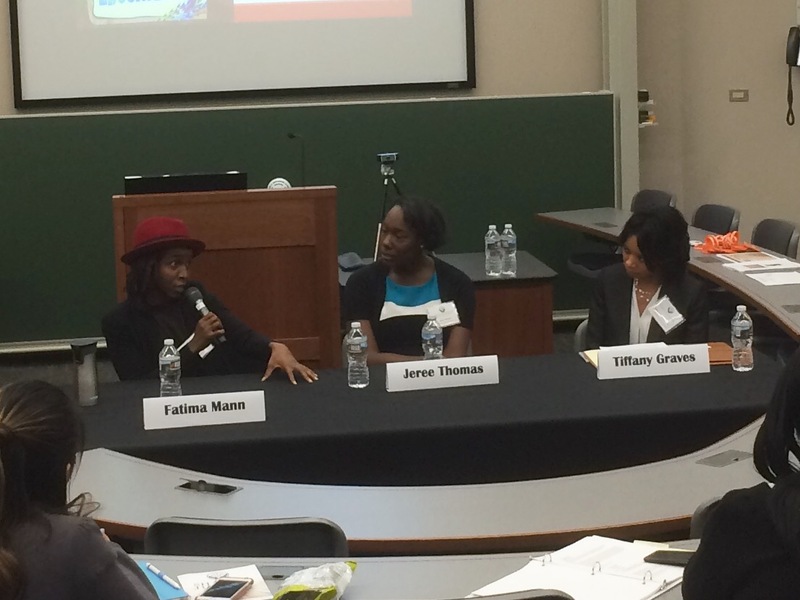 Panels tackled a broad range of issues, including the absence of justice for the Black community; voting rights; the intersection of reproductive and racial justice; environmental racism and climate change; violence against trans people of color; and the use of “big data” analysis in the criminal justice system. Workshops and plenary panels focused on giving students concrete tools for self-care and sustainable lawyering; navigating law school with your values and spirit intact; maximizing opportunities to work on justice issues as a firm lawyer; and a legal observer training on safeguarding the constitutional rights of protesters. A key feature of the Shaping Justice Conference is its emphasis on integrating legal and non-legal perspectives. As a lawyer serving the public, and especially serving vulnerable communities with a variety of needs, it is not sufficient to work within the legal system. Lawyers must learn to work with organizers and activists within the client community to identify strategies that balance addressing immediate needs with building effective litigation, which can often take years and require close coordination with and balancing interests between diverse stakeholders. The annual conference is sponsored by the Public Interest Law Association, Program in Law and Public Service, and Mortimer Caplin Public Service Center, with individual panels and workshops organized primarily by student groups. The conference is part of a broader move to increase investment in the public service community and opportunities available at the law school, with the goal of making UVA Law the nation’s premier destination for students pursuing careers in public service. 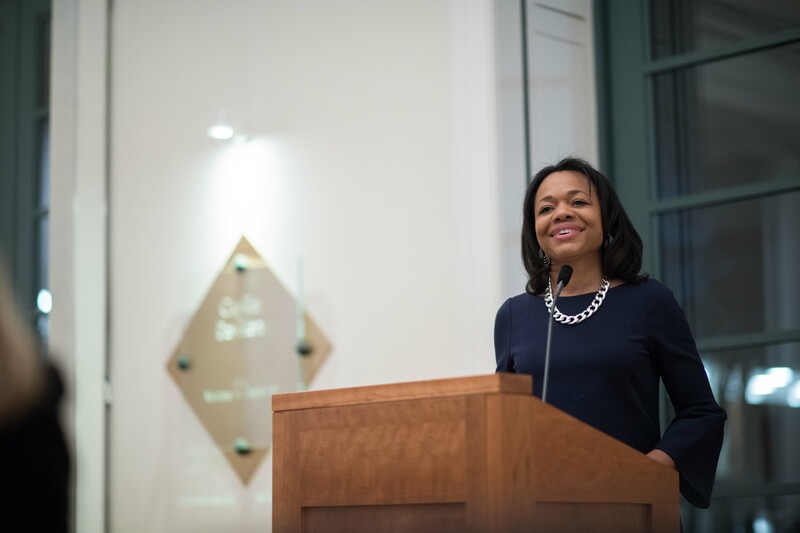 This year’s keynote speaker was Kristen Clarke, President and Executive Director of the National Lawyers’ Committee for Civil Rights Under Law, one of the nation’s oldest and most successful civil rights organizations. Clarke’s address highlighted the myriad of challenges now facing civil rights advocates and the communities they serve, including a renewed assault on voting rights; a resurgence of white supremacist groups; crises of discrimination in the criminal justice system from policing to mass incarceration; and the current administration’s retreat from civil rights enforcement and pattern of appointing federal judges who are openly hostile to civil rights. The keynote speaker, Kristen Clarke, president and executive director of the Lawyers’ Committee for Civil Rights Under Law. Photo by Jesús Pino. The conference also honored UVA Law alumni who have dedicated their careers to public service. Jeff Kerr ’87 was honored with the Shaping Justice Award for Extraordinary Achievement for his 25 years of service as General Counsel to People for the Ethical Treatment of Animals. Kerr described his passion for animal rights as stemming from the knowledge that non-human animals share many of the same experiences, feelings, and social behaviors as humans, and paired his promise to continue working for animal rights with a plea to treat non-human animals as we would want to be treated ourselves. This year’s award recipients (from left to right): Jeff Kerr ’87, Jeree Thomas ’11, and Kim Rolla ’13. Photo by Cheryl Harris. 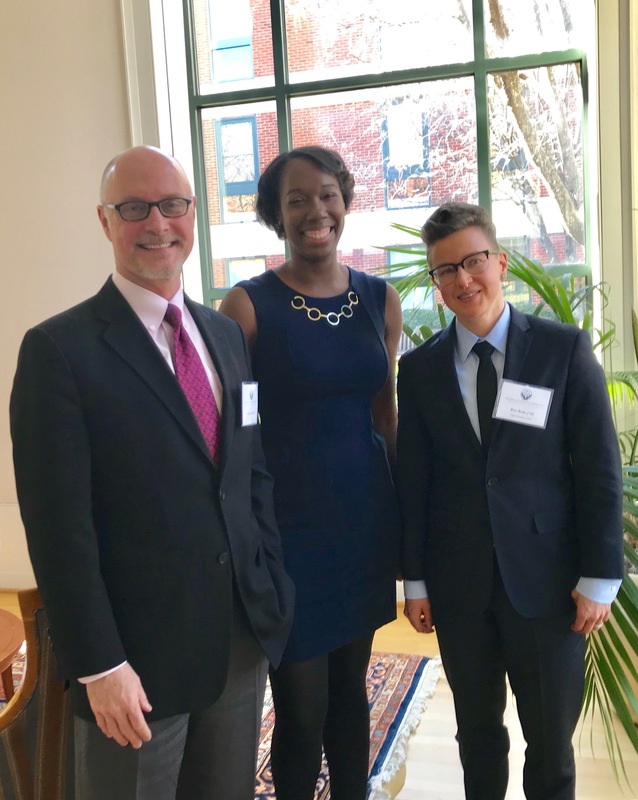 This year’s Shaping Justice Rising Star Award was given to two outstanding recipients, Jeree Thomas ’11, Policy Director of the Campaign for Youth Justice, and Kim Rolla ’13, Housing Team Coordinator/Attorney at the Legal Aid Justice Center and a Lecturer at the law school. Thomas brought the room to tears with a stirring acceptance speech in which she described her perspective on life as a daily gift in having the opportunity to serve others, and service to others as the ultimate expression of love. Rolla followed with her similarly inspiring frame of public service as a giftx of personal growth—that you cannot do this work without being changed by it, and that by doing it honestly and consistent with our values we become better people. The complete conference program with panel and speaker details is available here. A version of this article was also published in the Law Weekly which can be found here. 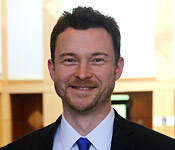 Ryan Snow is a third-year law student who was born and raised in Stanford, CA, graduated from Oberlin College and Conservatory of Music in 2005, and worked as a professional trombonist based in Brooklyn, NY from 2005 to 2014. While touring the country with soul-rock band Sister Sparrow & The Dirty Birds, Ryan became radicalized after a series of Supreme Court decisions enshrining money as protected speech while allowing states to create severe burdens on the right to vote, and decided he had to become an attorney and join the fight to save our democracy. While in law school, Ryan interned at the U.S. Department of Justice, Civil Rights Division, Voting Section; the Campaign Legal Center; the NAACP Legal Defense and Educational Fund; and Represent.Us.